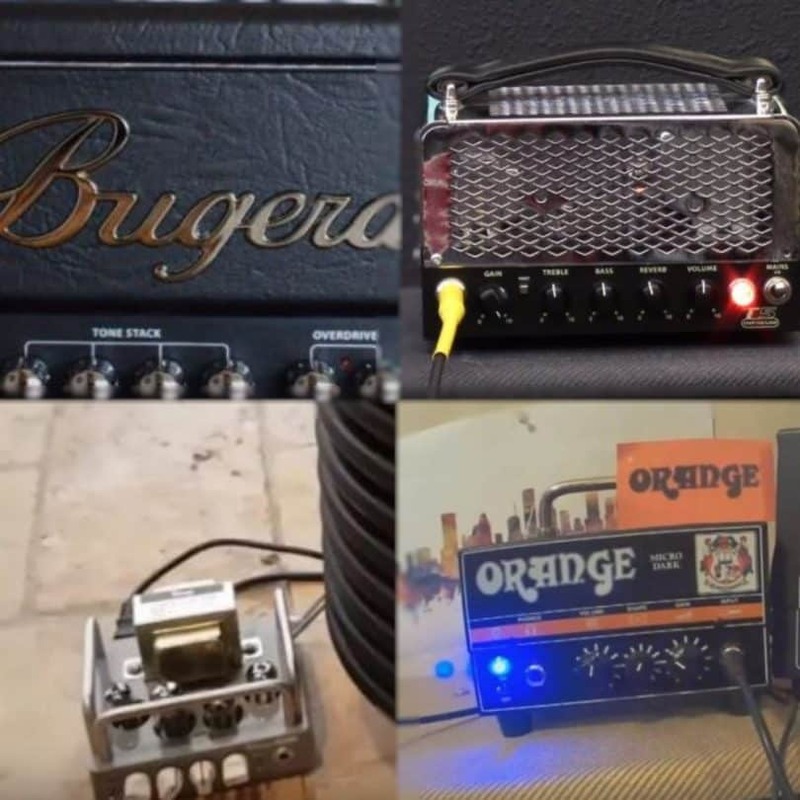 Best Tube amp heads Reviews: Top-5 in April 2019! Buying an amp is not like buying a car or even a house, you need to test the amp carefully, and this requires you to bring along your own guitar to test the amp in the store. Sure, guitar shops and musical instrument stores sell guitars, but they are not yours, and you know your guitar better than anyone else and know the sounds it produces. The only way to select an amp is to select it using your own instrument. OK, now let’s take a look at the five best tube amps on the market. 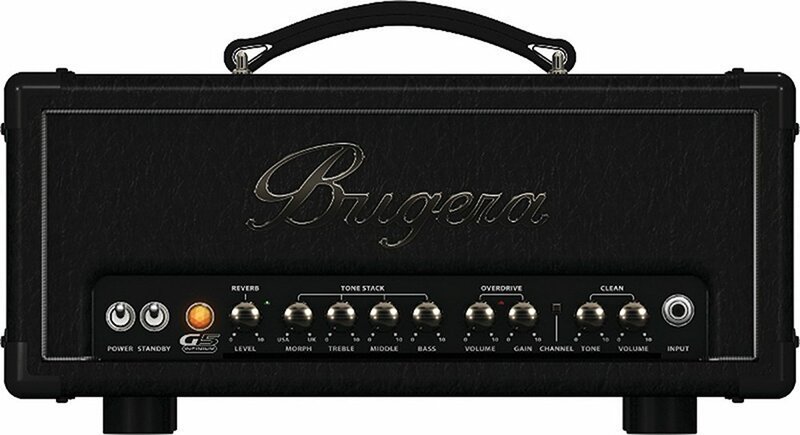 This is the Bugera G5 Infinium guitar head with Infinium Tubes. This is a great 5-watt guitar amp with Infinium tubes with the classic push/pull Class A design. This is the tube amp for small professional gigs where you get the combination of the USA and UK Morph EQ that delivers exceptional tone control. This is a classic tube amp model, and yes, it’s more expensive than a standard electronic amp, but you are getting those sweet blues tones that deliver the same sounds that all the greatest legends of music produced. The Infinium tubes are the leading amp tubes on the market, and they provide you with absolute tonal excellence. The Infinium is built to last longer than standard design tubes, as such, you get 20 times more life from these tubes, and replacing them is not as big an issue as you might think. A classic model with a sleek design, delivering clear, expressive 5 watts powered tones. 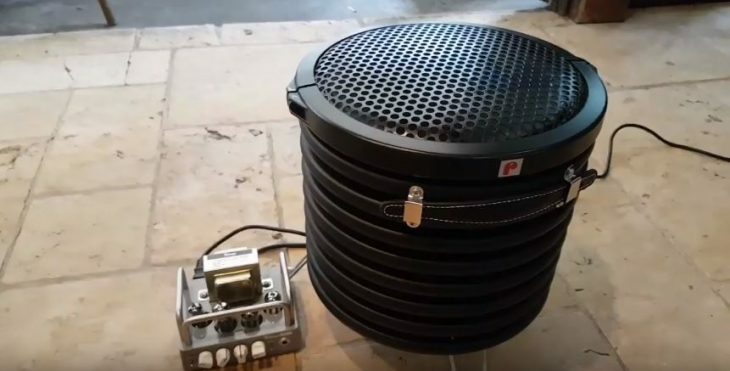 This is the hand built 5-watt Bugera T5 Infinium guitar amplifier. 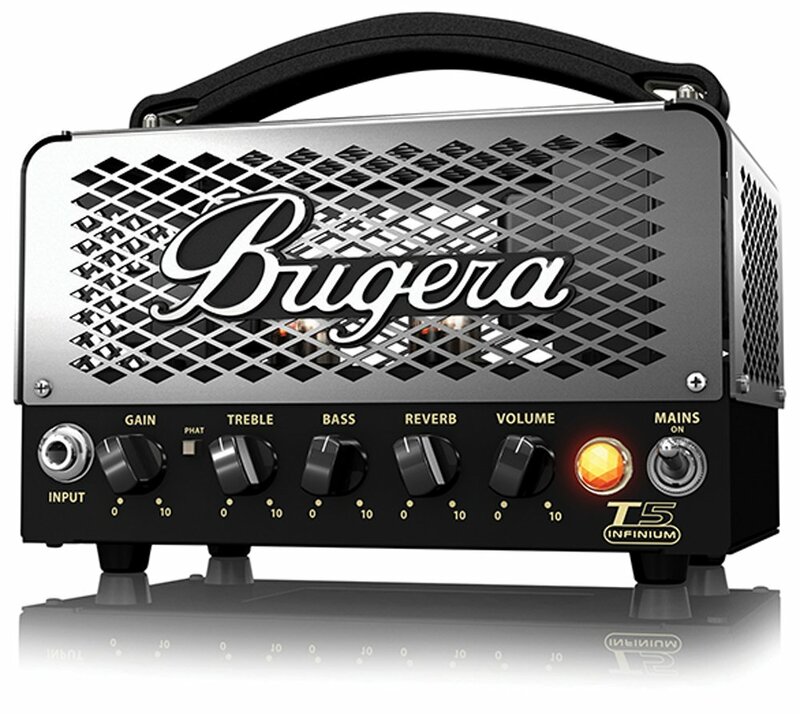 The 5-watt Bugera T5 comes with a 12AX7 Infinium preamp tube and an Infinium EL84 power tube, which delivers to you tube-soaked tones. The sound level and quality are identical to those played by your legends of old, and you get an amazing control with the integrated high-definition reverb and power attenuator. The compact T5 Infinium gives you a high-definition reverb for finishing your sounds and comes with a classic all-tube design in a classic looking body. This is a real beauty of a tube amp and delivers all the sounds, tones, and controls you could ever hope for from such an amazing model. When it comes to different, it doesn’t get much different than this. With its cold war era looks, more reminiscent of a spy’s secret transmission device from the 1950s, this model gives you everything you expect from a tube amp and more. When Wang and Biyang came together, in China, they didn’t envision such a success story. 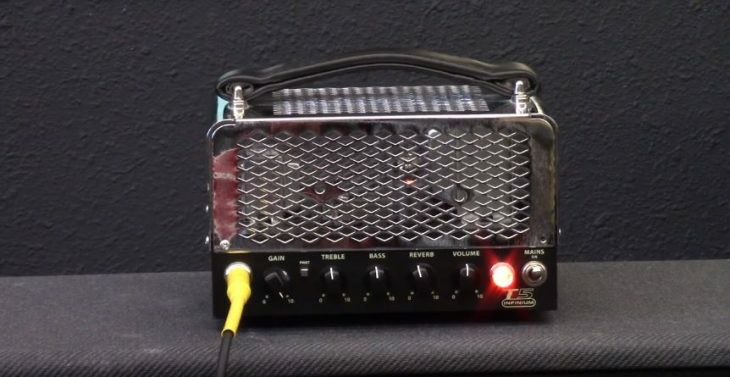 They created an affordable tube head amp that runs on a 12BH7, with a pair of 12AX7 tubes and a 6Z4 rectifier. The box is designed to show you the tubes, and there are old school plastic Bass, Middle, Treble and Volume knobs on the front. These combine with the two toggle switches that give you standby and Diodes and Rectifier modes — the second toggles between Bright and Warm. The box comes with a rear-mounted power switch and had a pair of ¼” speaker jacks. This model is designed to ruin at 8 or 16 ohms. This compact model has one concern, and that is a vulnerability when transporting since the tube heads are visible, you end up hearing every little pick scrape whether you like it or not. An amazing affordable tube head amp that is designed for perfection and you don’t get better than this, literally for the price you pay. 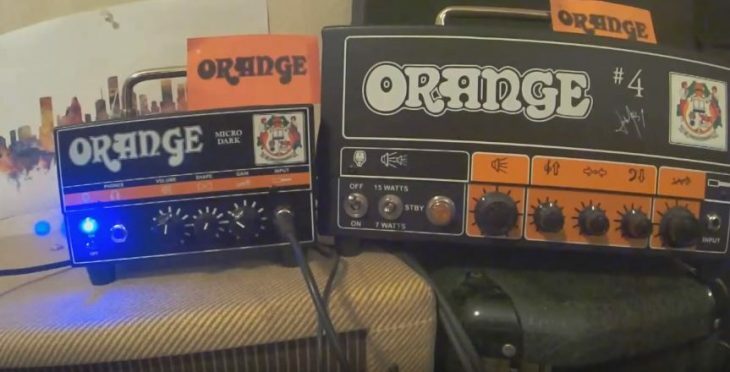 When it comes to brand names, Orange stands out on its own, and everyone who is anyone in the music business owns, owned or has used an Orange amp. This is their Dark Terror hybrid tube amp that comes with a new 12AX7-driven high gain preamp section which yields unbelievable power from such a small device. If you love distortion, then this is the amp for that. This is an extremely diverse model that comes with all levels of performance, from screaming screeching metal to mellow, smooth blues. What you also get are some classic features including a transparent fully buffered effects loop and a headphone output with CabSim circuitry. The tube and solid state design work together in perfect sync and harmony, where the preamp uses a single 12AX7/ECC83 valve that delivers a vast range of usable tones with warm cleans, smooth overdrive and fat, singing distortion. This model is pairable with any 8-16 Ohm cabinet. There is no need to introduce an Orange, but this is the Dark Terror, and it is aptly named since you can integrate this with any system to get above and beyond performance that will blast you away, or soothe you to sleep. 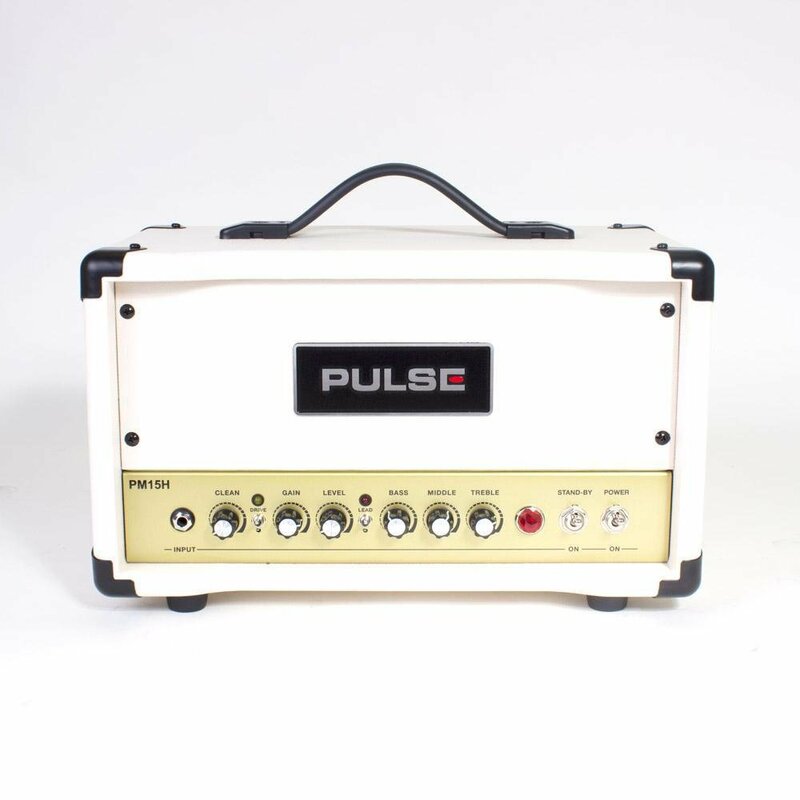 The Pulse PM15H Guitar Tube Amplifier Head is a classically designed machine with 1950’s and 1960’s style features that are powered by 12AX7 preamp and 6V6 power tubes and gives you everything you need for practicing in the bedroom or playing in a gig. This model comes with 2 separate channels that you can switch between for clean and overdriven tones. There is a lead switch that adds additional gain for blistering solos, and you get separate Volume control for each channel. This model also provides you with gain control for the Overdrive channel and has a 3 band shared EQ. 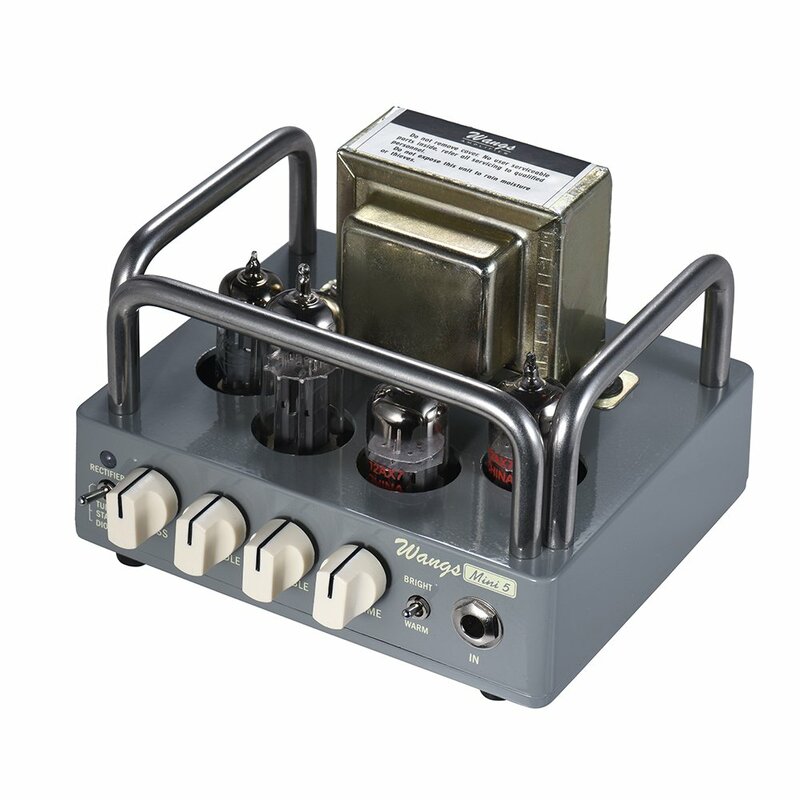 This is a lovely traveling tube amp for taking with you anywhere and everywhere. The 15 watts of power is ample for rehearsals as well as performances. Once you enter the shop with your guitar, you want to decide which amp is best for you, and there are a lot of different models to choose from. There is one essential difference between all these amps, and this difference is in the technology used to build the amp. There are old school tubes and modern solid state or digital amps. What’s the difference? Well to start off with price, tubes are expensive, they are an old (over a century old) technology that uses a glass tube rather than a solid state transistor. Now, some genius’s might suggest that tubes give a better sound, but that’s not true, Tubes and solid state do the same thing, they convert analog sound into a digital wavelength that is transmitted through a speaker, and modern electronics takes the sounds and converts it into any wavelength and form you desire. As such, tubes are the old way, and solid state the new way. Another consideration is that many modern amps are hybrids, they have a tube in the pre-amp. With this remember, an amp doesn’t produce sound, the speaker does. So the speaker together with the amp provide the tone. With modern day electronics taking solid state components to the next level, comparing a tube to a solid state is like comparing a model T Ford to a Tesla Model 3. However, owning and using a tube amp is fun, even if finding replacement parts is a major headache. The next thing you want to consider is size, and yes, size does matter. However, you need to match the power of your amp to your speakers. So when you go for a 100-watt stack and intend to use it at home, get ready to be lynched by an angry mob. For home use, 10 watts is enough, for garage use, maybe up it to 15 watts which are also good for small street and café performances. If you want to perform with a band, up it to 30 watts, and if you want to blast the hills, then get a 100 and above the unit. As such, any tube amp with 10 to 30 watts is more than enough for all standard uses, including home jamming too outdoor performances. Take note; you will always have three individual units devices working in unison, these are the preamp, the power amp and the speakers. You need to make sure each one is suitable for the other, and remember that distortion comes from mismatching models and trying to blast too much power. As such, test the amp you want to buy by turning up the master volume all the way and turning down the gain. If you get a good, righteous sound, you have a winner. 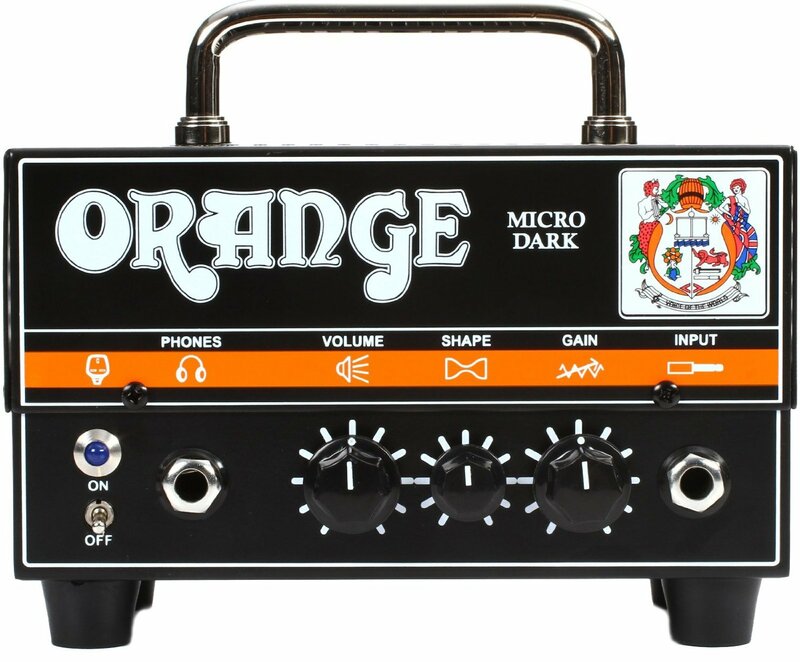 If you want a good amp to speaker ratio, and want that “crunch” then overdrive the speakers by dialing in a clean setting and turn the volume way up. You will find that low-wattage speakers break up at lower volumes, and totally mush out at higher volumes, while high wattage speakers don’t break up at all. Now here is the technological crunch, you need an amp that is equal to but no more than double the wattage than the speakers. This will give you all the variety and versatility for clear col tones to overcharged crunched tones. A bit more about speaker sizes, while you do have the best tube amp in the universe, a speaker can totally destroy your musical output, as such, remember that speakers are not just cones, they are cabinets too, and the combination of cone material and cabinets will make a speaker more or less versatile, with some speakers giving great bass and others just squirting out tinny sounds. Some more considerations for buying an amp are multichannel and EQ. If you get a multi-channel amp, make sure each channel has its own equalizer. Now that you have reached the models you want, it’s time to test them by twiddling the knobs and checking out the quality and accuracy of performance. Make sure that dialing in tones is easy and not a convoluted affair. One final consideration, some amps come with all kinds of sound distortion options, question yourself if you need all of that? Maybe you only want a straight forward tube amp. Don’t spend money on something you will never use.